Previous versions of the Active Roles Management Shell and Active Roles ADSI Provider had their own separate installers. The latest version of the Active Roles Management Shell 7.0 and Active Roles ADSI Provider do not have their own separate installers. 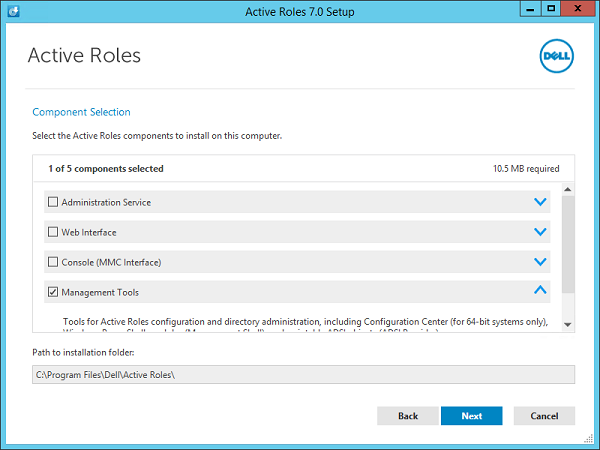 The Active Roles Management Shell 7.0 and Active Roles ADSI Provider can be installed on their own by running the main Active Roles 7.0 installer, deselecting all the main components and then selecting only the Management Tools option. This will install both the Active Roles Management Shell 7.0 and the Active Roles ADSI Provider.